Often anime series with Western ‘demon’ themes tend to be saturated with complex and impenetrable Christian mythos that leaves people like me (with no real knowledge of the source material) reeling in confused disinterest. Happily, Blue Exorcist is one of those rare series that features these themes but is actually enjoyable and easy to follow. The story follows Rin Okumura, a well-meaning but good-for-nothing teen who finds out that he’s actually the son of Satan when one night his adoptive father is possessed and dies by his own hand. 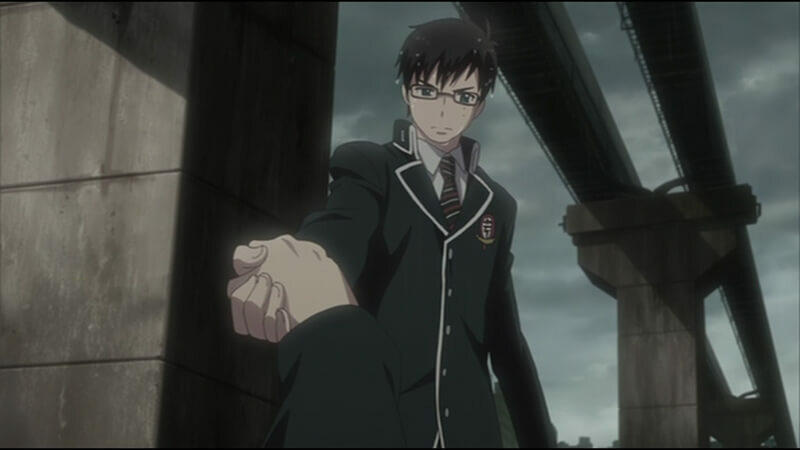 Together with his brilliant twin brother Yukio, Rin attends True Cross Academy to become an exorcist like their adoptive father in order to someday defeat Satan. 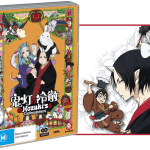 Rin must hide his demonic heritage from his classmates while learning to control his powers, locked away by the legendary demon-slaying sword Kurikara. He must also navigate the unknown motives of the high-ups in the True Cross Order, who suspect him of sharing Satan’s aim of conquering the human realm. As mentioned before, the story is easy to follow and often light-hearted, which makes some of the blood and violence a bit more dark and hard-hitting when it occurs. A big part of the story is the balance between Rin learning to make friends with his classmates while keeping his heritage secret from them. He can often be brash and prickly, but he freely gives spontaneous praise and gratitude even when others are being downright nasty, such as his often-cruel twin Yukio. 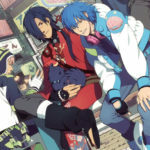 Rin doesn’t follow instruction well and often strikes out on his own, which is both a character flaw and a strength, as it shows his determination to follow his heart. These traits, combined with Rin’s ability to see and appreciate the points of similarity between his classmates and himself, make him a refreshingly likeable main character. 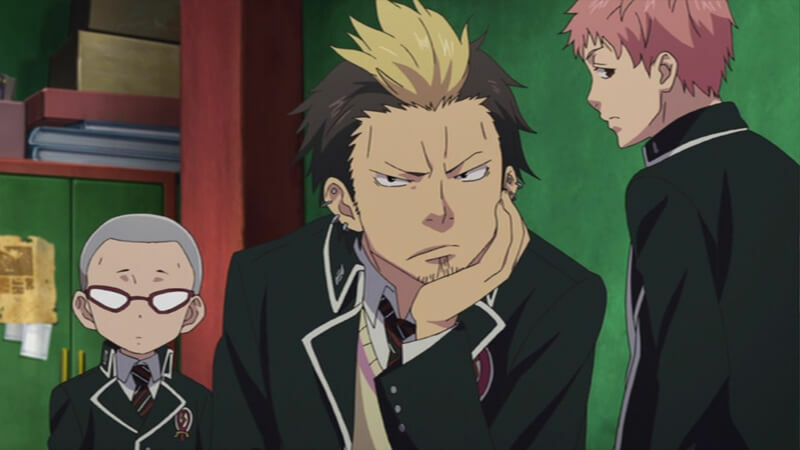 I have to say though that I didn’t appreciate Yukio quite so much. He constantly believes the worst of his brother, unnecessarily criticises him and has unrealistic expectations. True, Rin is the son of Satan, but so is Yukio despite not having inherited any demonic traits. His frequently false demeanour and dubious loyalty to Rin made him my least favourite character in the series. With Rin being faced with this kind of treatment from everyone it’s no surprise that, despite being a happy and kind character, he puts very little value in his own potential. 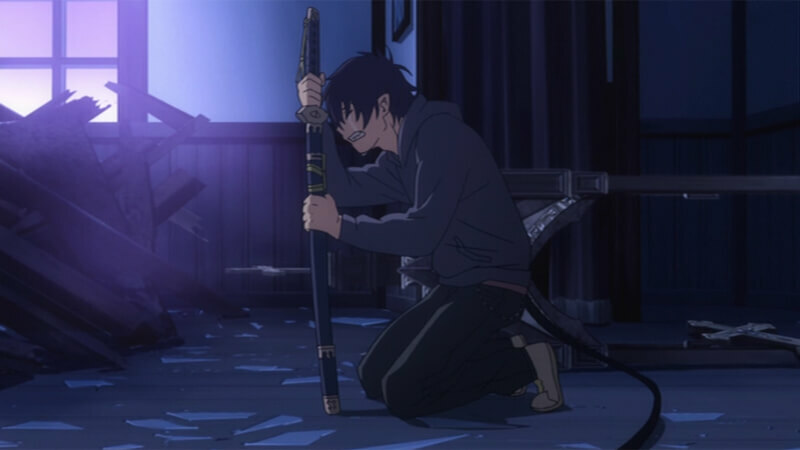 The Blue Exorcist anime was adapted by A-1 Pictures, and as always their attention to detail and the manga artist’s world-building shines through. The series’ fantastic version of Tokyo features Ghibli-esque buildings overflowing with many levels and stacks of towers and structures. I always enjoy it when some locations look a little grimy and lived-in and or are covered in the iconic Japanese signage. The characters are gorgeously rendered with fluid and energetic fight scenes and, charmingly, a lot of attention to details of teeth and fangs. Not complaining, there are a lot of fang close-ups! I viewed the Japanese version and especially loved how Rin’s voice actor manages to convey the creakiness of a teenager’s breaking voice despite being an adult himself. The DVD series collection from Madman came absolutely packed full of discs, which was exciting to open and feel the weight of, but there was a little inconvenience in the way the discs are arranged inside the case. In order to access the first disc, you have to take out the second disc, and the same arrangement was used for the fifth and sixth discs which seems a bit odd. But the cover art inside and out is lovely, and special mention has to be made of the extras on the discs. There are the usual trailers and textless openings and closings (the four openings and closings of the series are so good!) But on top of that there are a handful of Blue Exorcist TV spot trailers, web previews which have little introductions of each episode in the character of a different demon, 10 short extra episodes called Ura-Ex, and a previously unaired full episode. These extras are well worth the watch, and are spread over the discs so you don’t have to watch them all in a lump, but rather as a little garnish to ‘celebrate’ the end of each disc. 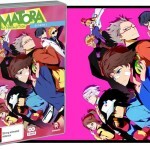 And trust me, you’ll probably want to shotgun the whole series once you get into it! 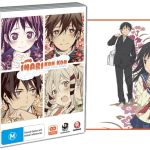 There’s also an OVA available which has even more gorgeous animation and some good giggles and action. 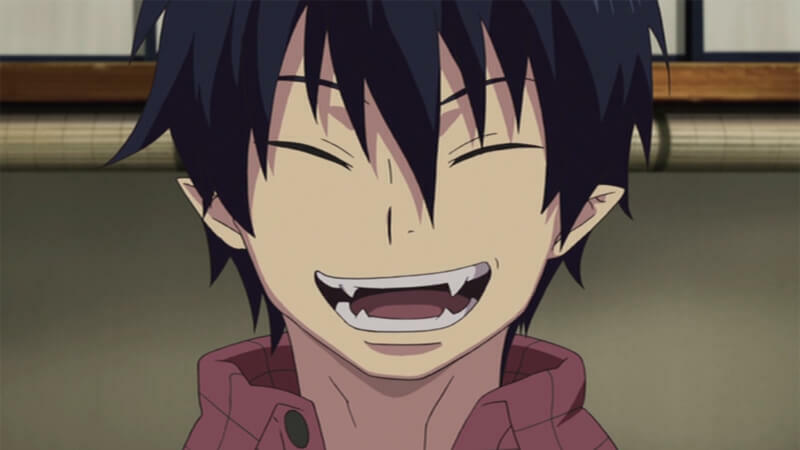 All in all, Blue Exorcist is now one of my all-time favourite series and I heartily recommend it. It’s been very difficult not to gush. I ended up getting quite attached to the characters, major and minor, and went on to start reading the manga which is similarly gorgeous. 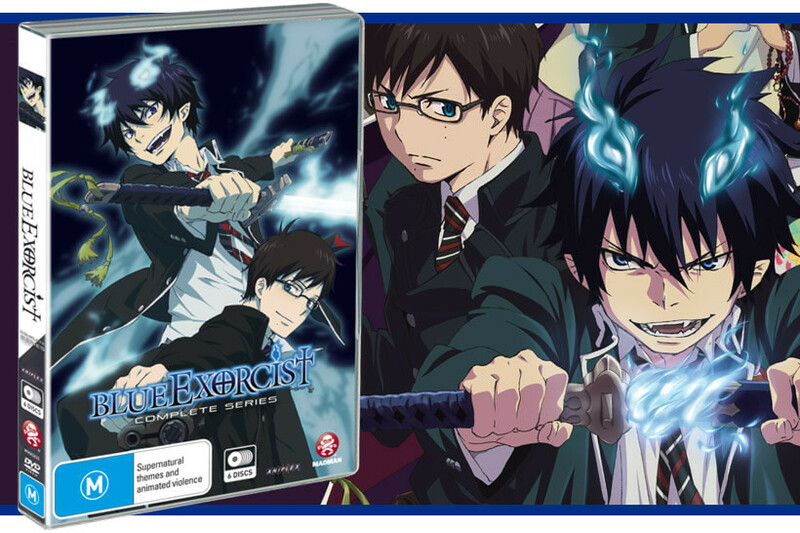 You can currently watch Blue Exorcist on Australian Netflix, or grab the anime series, manga and OVA from Madman Entertainment.